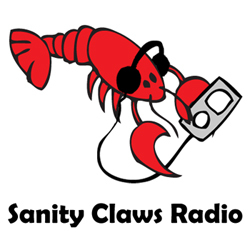 Sanity Claws Radio – Then and Now Whiskey Tasting! We sample some contemporary whiskeys and then compare them to their not so contemporary counterparts in this episode of Sanity Claws Radio. Scotty, Steve, Karen, Badger and Jon sit down to sample a wide array of whiskeys and then compare them to the same brand from the 1970s. We dive deep into the history of these whiskeys and how their recipes have changed over the years. Also, Karen digs deep into Animal Crossing, Scotty gets some Gear of War on, Steve buys an old man car, Badger has robo dreams and Jon watches some fine TV. And finally, we finish off the show with a fine round of I Can Top That. Join in won’t you?